BANGLADESH. Gaibandha District. 2010. 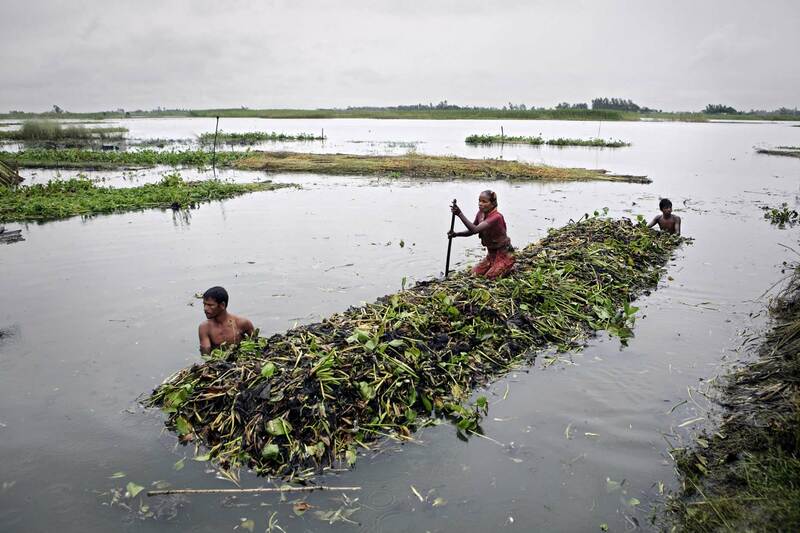 Villagers moving a floating garden closer to their home. This is an innovative type of agriculture that requires no extra fertilizer or earth apart from the ubiquitous waterbased hyacinth weed. The floating garden is flood-proof, and rises and falls with the tides.